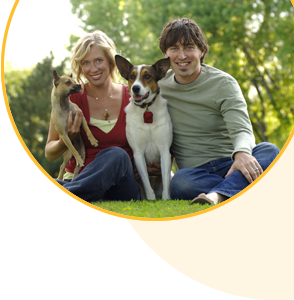 The Pet Professionals online courses are designed to help responsible pet owners improve their knowledge on how to look after their pet. Written by qualified professionals, our online courses guide you, at your own pace, though your learning. Do you want FREE unlimited access to all courses? If you are already a Gold Club Member then please log in to access all courses. This course provides the owner of the older horse with advice on how to take better care of your companion and the things you need to know at the end of life. This course will provide you with invaluable hints and tips on how to choose a horse and what to look out for. This course has been written by Eqwest an equine specialist veterinary practice and will help all horse owners to cope with that emergency situation before professional advice and treatment can be obtained. This course will provide you with what you need to know about the various choices you can make about feeding your horse and providing your companion with the right nutrition for a healthy life. This course explains some of the background to horse behaviour, training methods and dealing with unwanted behaviour. This course shows the horse owner massage techniques and the benefits of massaging your horse. This course covers the practical steps that a responsible horse owner can take to care for their companion to ensure it stays healthy.